When Ubisoft announced that Rayman Legends was coming out for the Xbox 360 and PS3, the reason to get a Wii U for this game is struggling. But there’s some good news for people who have a Wii U for something nice and free. 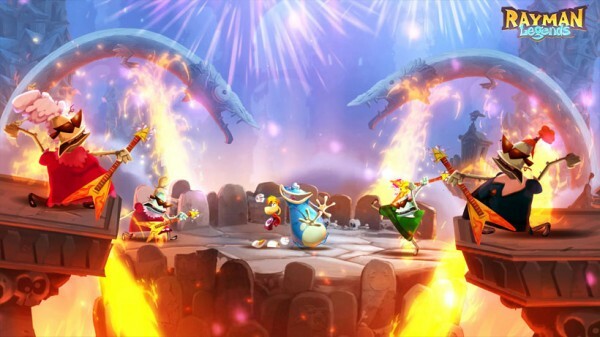 Ubisoft said that there’ll be a Rayman Legends Challenges mode that will be free on April 25. You’ll be able to play four different types of levels and a Wii U exclusive Dungeon mode. There’s also some mulitplayer leaderboards with ghost data for your run times and you’ll be able to take part into daily and weekly challenges. It sounds like a sweet deal for Wii U users but still, you can’t help but feel bad like Nintendo has been slightly shafted because of this. Let us know in the comments how you feel about getting a free game mode before release or post in our forums.